This object is currently on display in room 213 as part of Iridescence. There are 5 other images of this object. See our image rights statement. 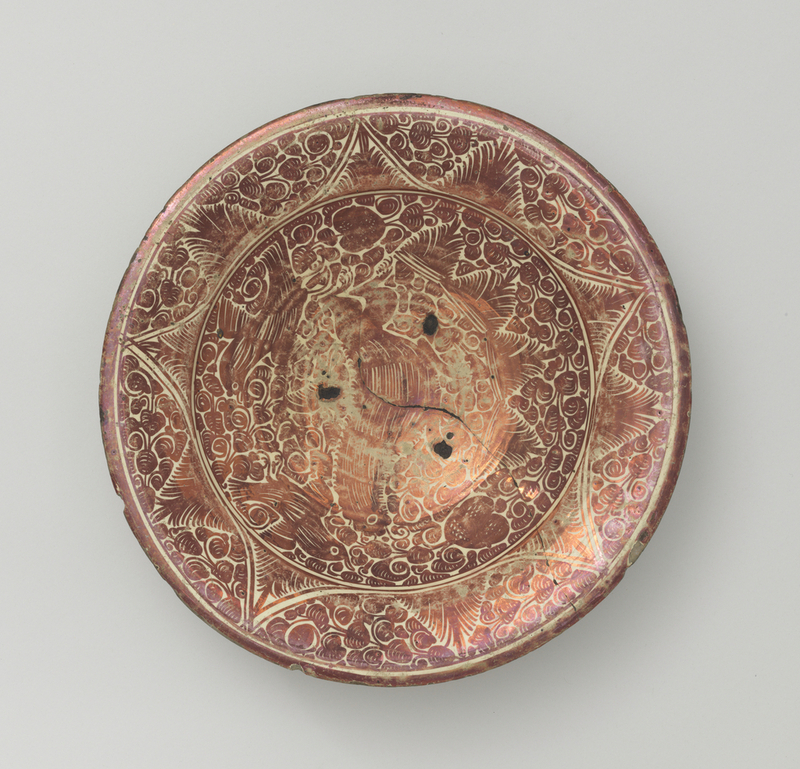 See more objects with the tag foliate, copper, plate, star, luster. 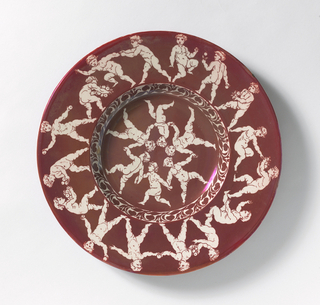 This is a Plate. It is dated late 17th century and we acquired it in 1940. Its medium is lustered pottery. It is a part of the Product Design and Decorative Arts department. 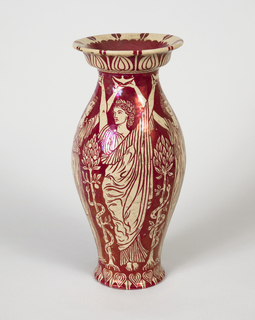 In the 14th century,the region of Valencia, Spain became a center for the production of the most elaborate lusterware. 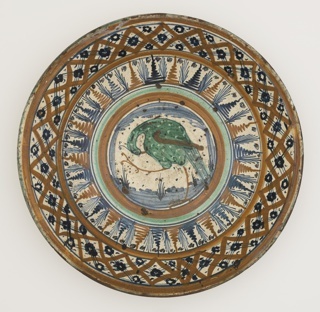 These ceramics,technically superior to any other wares produced in late-medieval Europe, became a successful export.This plate shows decoration of Islamic origin,including stylized birds, palm and fern elements, as well as interlace patterns of curving lines and geometric shapes. 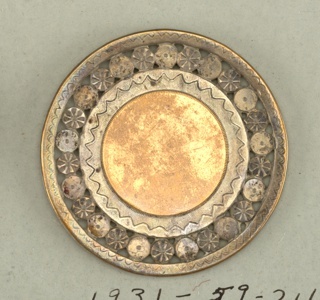 This object was donated by Mrs. Laurent Oppenheim. It is credited Gift of Mrs. Laurent Oppenheim in memory of Laurent Oppenheim.